London, UK (April 26, 2017) – Electric vehicle advocate Plug In Adventures has created a specially modified Nissan LEAF that will be the first all-electric car to enter the Mongol Rally*, driving 10,000 miles / 16,000 km from the UK to Mongolia in summer 2017. Dubbed the LEAF AT-EV (All Terrain Electric Vehicle), the vehicle is based on a standard 30kWh Nissan LEAF Acenta, which offers a range of up to 155 miles / 250 km on a single charge**. Key modifications have been made to better equip the car once it reaches the more remote parts of the journey. The LEAF AT-EV has been fitted with Speedline SL2 Marmora wheels and Maxsport RB3 narrow tyres, for better performance on unsealed roads. Welded plates to the underside of the wishbones, braided brake lines, mudflaps and a 6mm aluminium sump guard add further protection from rough terrain. A modified roof rack provides external storage and is fitted with a Lazer Triple-R 16 LED light bar to produce 16,400 lumens of supplementary low-voltage forward lighting during the remotest parts of the trip. As the Mongol Rally isn’t a timed race, the entrants’ vehicles ideally provide long distance comfort. The interior modifications to the LEAF AT-EV have been focused on reducing weight and providing more storage space. The driver and front passenger area is unmodified apart from the addition of rubber floor mats. The rear row of seats and rear seatbelts have been completely removed, contributing to a 32kg weight loss. A Fire Extinguisher and Medi Kit have also been integrated into the boot space. The modifications to the LEAF AT-EV were carried out by RML Group, a leading high performance automotive engineering company based in the UK. Chris Ramsey, founder of Plug In Adventures, said: “The Mongol Rally is our most challenging electric vehicle drive to date, but it’s one we’ve been planning for a number of years. Not only will we face a dwindling number of EV chargers the further east we go, the terrain also becomes more difficult to navigate. Chris plans to make regular stops along the way to promote the benefits of running an all-electric vehicle to residents of the countries he’s passing through. He’ll also be using the What3Words platform (http://what3words.com/) to log the locations of some of the uncharted charging network, so that future EV drivers traversing the region can benefit from accurate charging point locations. Gareth Dunsmore, Director of Electric Vehicles, Nissan Europe, said: “Since we launched the LEAF in 2010, our customers have collectively driven over three billion kilometres, saving more than 500 million kilograms of CO2 emissions in the process***. Our ‘Electrify the World’ initiative connects stories from these people who are living an electric lifestyle. Plug In Adventures was founded by Chris Ramsey in 2011 and was born from a combined passion for adventure and electric vehicles. Comprising a group of EV enthusiasts based in Scotland, its aim is to engage with the public in unique and different ways, championing all things EV-related. 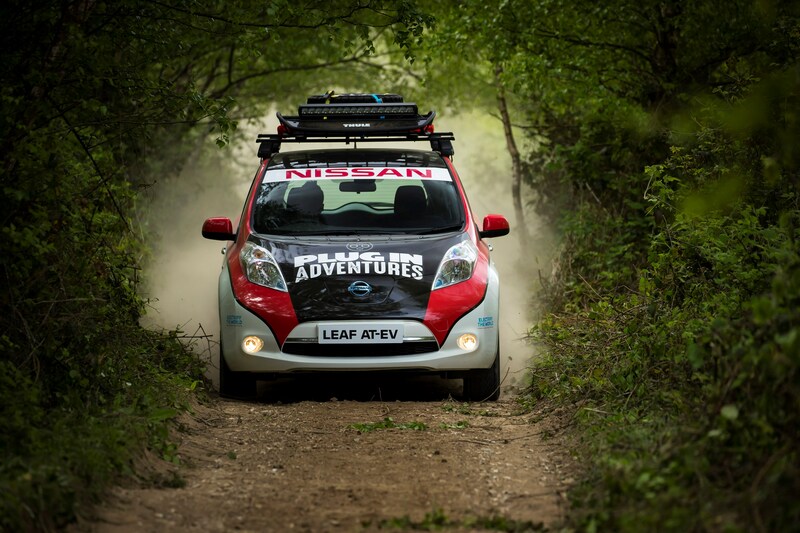 Plug In Adventures is no stranger to putting electric cars through epic drives. In September 2015, they took just two days to finish the 1,652-mile journey from John O'Groats to Land's End and back again in a Nissan LEAF 24kWh, using only publicly available and free EV charging points. In April 2016 they completed the North Coast 500 in a LEAF 30kWh. The challenging 516-mile circuitous route around the Highlands of Scotland is pitched as ‘Scotland’s answer to Route 66’. The Mongol Rally is the culmination of this series of EV adventures that Chris created for himself as training – all building to this significant and challenging journey. Follow @Pluginadventure on Twitter or visit www.facebook.com/pluginadventures to keep up with their journey. The Mongol Rally is a 10,000 mile charity drive across the mountains, desert and steppe of Europe and Asia which takes place each summer and first started in 2004. The event is organised by The Adventurists (http://www.theadventurists.com) which run a number of events that have raised £5million for charity to date. Each team in the Mongol Rally is expected to raise a minimum of £1000 for charity. The rules state that participants must drive a small, sub-1.0-litre engine car as it will make the event more of a challenge with a greater chance of a breakdown meaning drivers can interact with locals along the way. The drive is unsupported with no ‘on the road backup.’ Participants are expected to get themselves out of trouble. 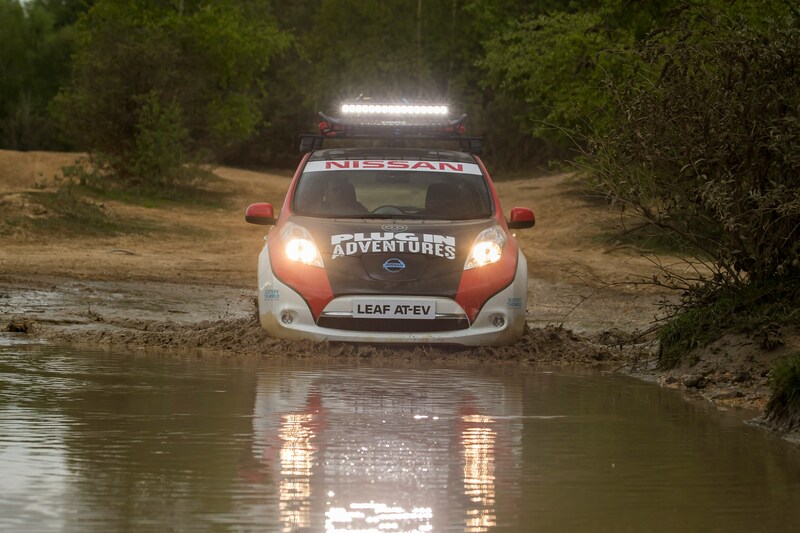 For 2017, The Adventurists have supported Chris’ decision to enter the rally with the LEAF AT-EV, so that it can become the first electric vehicle to attempt the journey and highlight the organisation’s commitment to sustainability and the environment. The 2017 Mongol Rally launches on Sunday 16 July.